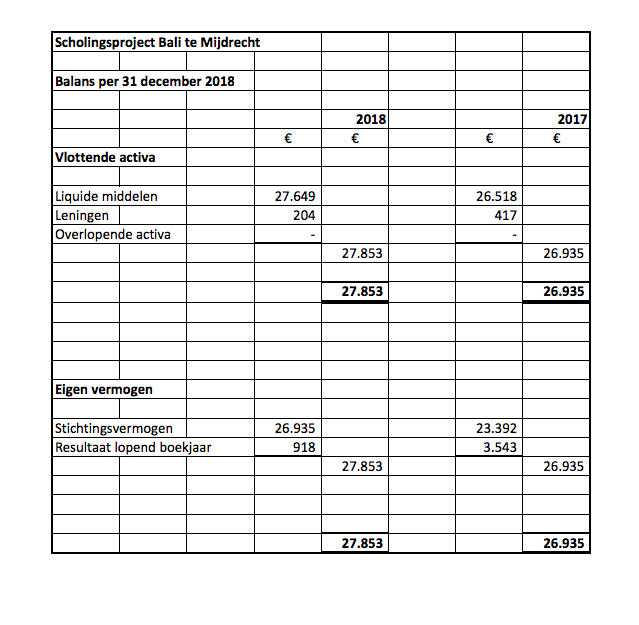 Total expenditure in 2018 amounts to 27.471 Euro. 22.569 Euro for 218 children. * Projects: 4.343 Euro, for which we bought 15 laptops, to be distributed amount students going to senior high school (class 10), and a number of smaller, individual projects, solving special needs of some of our students. * Office costs: 97 Euro. 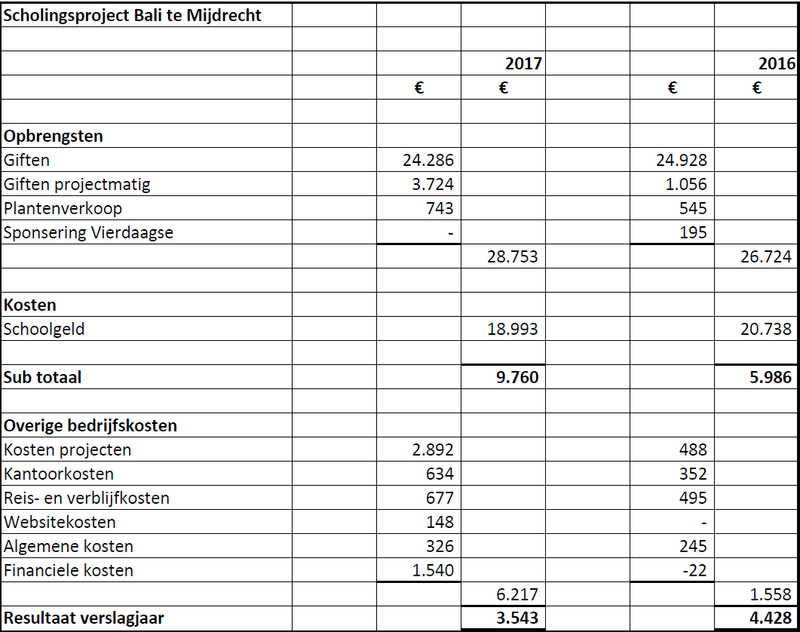 * Travel- and accomodation costs (excluding ticket Amsterdam-Bali v.v. ): 580 Euro. Accomodation and local transport costs, and a small fee for our Balinese contact persons. * General costs: 511 Euro. Representation costs, developing and sending foto’s and mail from Bali tot he sponsors. * Financial costs: -629 Euro, concerning the difference in exchange rates throughout the year.